Jamie M. Gold was born as Jamie M. Usher on 25 August 1969, in Kansas City, Missouri USA, and is a television producer, talent agent, and poker player best known for winning the 2006 World Series of Poker (WSOP) Main Event. So just how loaded is Jamie Gold? Sources state that Gold has established wealth of over $14 million, as of early 2017, his net worth earned through his involvement in the entertainment industry, as well as through playing poker. Gold’s parents divorced in his early childhood and his mother later remarried to Dr. Robert Gold, with Gold adopting his step-father’s last name. The family relocated to Paramus, New Jersey, where Gold grew up, attending Paramus High School. Upon matriculating in 1987 he enrolled at the State University of New York in Albany, and later attended the University of California, Los Angeles, where he studied entertainment law. Gold’s interest in the entertainment business began when he was 16 years old, starting an internship at the J. Michael Bloom & Associates Talent Agency. By the age of 21, he had become a talent agent, however, he quickly became interested in management/production, and went on to pursue a career in this field as well, establishing an impressive clientele. Developing the careers of a number of actors such as Kristin Davis, Felicity Huffman, Jimmy Fallon, James Gandolfini and Lucy Liu, brought Gold a level of fame, and his net worth began to rise. Away from his primary occupation, Gold had become interested in poker during his teenage years, following his grandfather who was a gin rummy champion, and his mother an avid poker player. He then began working with former WSOP main event winners Johnny Chan and Chris Moneymaker on a television show, and his recreational poker playing quickly turn to professionalism, with Chan becoming his mentor. In 2005 Gold started to participate in poker tournaments on a regular basis, winning his first major No Limit Texas Hold ’em tournament, which earned him $54,225, greatly adding to his wealth. Many more successes followed, and he went on to establish himself as one of the main figures in poker circles, and to compile a solid record in tournament competitions. The following year saw Gold winning the WSOP Main Event No Limit Texas Hold’em, $10,000 buy-in. Surpassing 8,772 other players and busting seven of the eight finalists on the Final Table single-handedly, Gold was crowned World Champion, taking a $12 million prize for his first-place finish. His net worth was considerably boosted. However, his victory didn’t pass without controversy. Reportedly, before the main event, he had signed a two-year contract with Bodog.com Entertainment, who became his sponsor. He was supposed to find celebrities to play in the main event under the Bodog banner in exchange for a paid entry into the main event. He partnered with poker player Crispin Leyser to help with this assignment, in exchange for half of Gold’s winnings. However, when Gold won, he decided to keep the whole prize for himself, breaking the deal he made with Leyser. This led Leyser to sue him; the case was eventually settled out of the court. 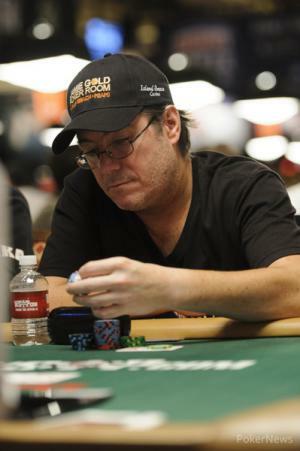 Gold returned to WSOP to defend his title in 2007, however, he was eliminated on the first day. He did better at the 2007 WSOP Europe, finishing 35th in the main event. Since then, he has occasionally entered poker tournaments, but has focused more on his showbiz career, serving as president of production for the entertainment company called Buzznation. His most recent cash came in the 2016 WSOP Circuit Event, in which he finished runner-up in the Los Angeles WSOP Circuit Main Event for $139,820, improving his wealth once again. When it comes to his personal life, Gold has kept it away from public view, so there are no details known about his off-camera life, not even rumours of romance or a relationship. Poker player Gold is involved in philanthropy, having participated in numerous poker tournaments benefiting charitable causes, such as WSOP “Ante Up For Africa” and Annie Duke’s charity poker tournament. 1 Won the 2006 World Championship bracelet in the World Series of Poker (No Limit Texas Hold'em).